Very specific closing procedures must be followed when purchasing a home. The closing process is designed to protect everyone involved in the transaction including the buyer, the seller, and the mortgage lender. The selected title company will handle many of the details of closing, but the real estate agent, lender, buyer, and seller all have important roles during the closing process. Home Inspection - A licensed inspector will conduct a detailed analysis of the condition of the home and prepare a report. Appraisal - An appraiser will inspect the home, verifying that it is worth as much or more than the purchase price. Title Search - The title company will conduct a search of legal records to identify whether or not the seller has the legal right to transfer ownership. Insurance - Mortgage companies require that both title insurance and homeowners insurance are in place prior to closing. Home buyers have a right to review the Housing and Urban Development (HUD) Settlement Statement up to 24 hours prior to closing. This document clarifies the final closing costs associated with the purchase transaction. Many choose to walk through the home one last time to double check that any improvements specified in the terms of the agreement have been completed. 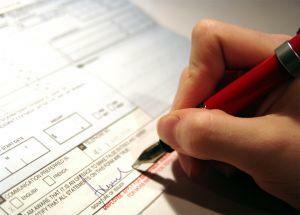 Closing usually takes place at the office of the title company handling the transaction. During the closing procedure, the buyer and seller will sign the legal documents that officially transfer title to the new owners. It may seem daunting, but it is actually a pretty quick and easy process. Most of the hard work is done by this point in the process. All the homebuyer needs to bring to the meeting is identification and a checkbook. A representative of the title company, called the closing agent, will lead the meeting. During the meeting, the closing agent will verify that all documents are properly signed and collect all necessary payments. Further, he or she will take care of getting the legal documents recorded and make sure that escrow payments are distributed properly. In addition to the closing agent, several parties with vested interests in the real estate transaction may be present, including the buyer, the seller, real estate agents (representing the buyer, the seller, or both), a lender representative, and one or more attorneys. If this is a simple home purchase, it is unlikely an attorney need be present. Truth in Lending Act (TILA) Disclosure Statement - The buyer will receive a final disclosure revealing all costs of financing the home, detailing both interest expense and discount points. It will look something like this one. HUD Settlement Statement - Both the buyer and the seller must sign this precise disclosure of the final closing costs and financial details of the transaction. This form can seem overwhelming. Ask the closing agent to explain it in detail. You will need to provide a check for the closing costs at this time, unless the seller is paying them or they are financed into your mortgage. Mortgage Note - The buyer will sign and receive a copy of the mortgage note, which outlines the terms and conditions of his or her promise to repay the loan, along with the consequences of failure to do so. When you sign this, you are locking yourself into the loan. Deed of Trust - This document is provided in security of the mortgage note, and gives the lender legal claim to foreclose on the property should the buyer neglect to honor the terms of the mortgage agreement. 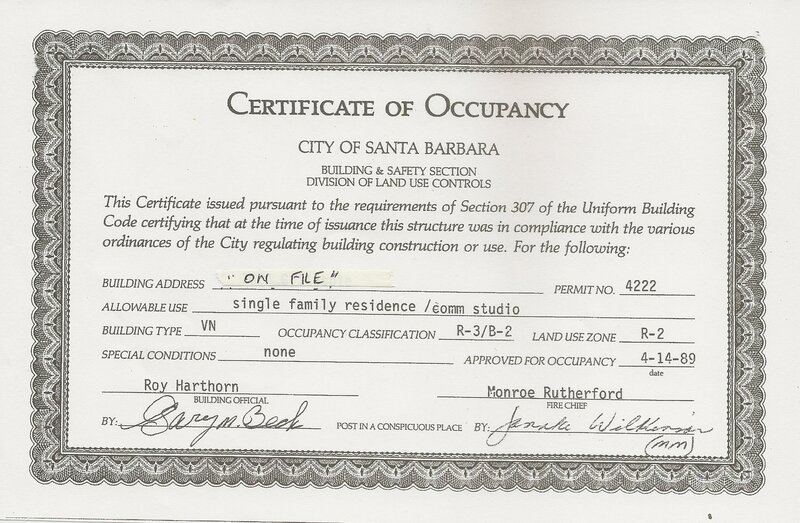 Certificate of Occupancy - If the home is new construction, the buyer will receive a certificate indicating that the structure has been cleared for occupancy. Buyers cannot legally take up residence in a brand new home without this documentation. Once all papers are signed at the closing table, the title is officially transferred from the seller to the buyer. It is the closing agent's responsibility to file the change of ownership at the county recorder's office. At the end of the meeting, the seller will hand the buyer the keys to the dwelling, if he or she has not already done so. The closing process is rather long and detailed, but it is an important part of real estate law. Everyone involved in the transaction benefits from making sure that all legalities associated with the transaction are handled in a professional manner prior to transfer of title. Doing everything properly can save you a lot of headaches down the road.